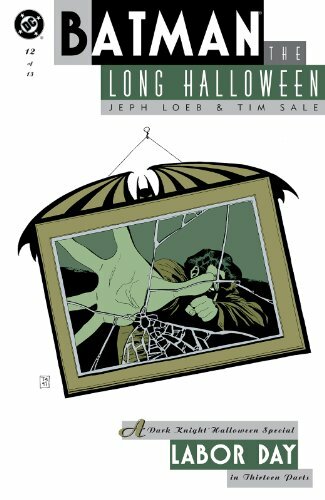 Don't miss the latest ABSOLUTE EDITION from DC, collecting the landmark, award-winning 13-issue miniseries written by Jeph Loeb (BATMAN: HUSH) with art by Tim Sale (SUPERMAN FOR ALL SEASONS)! 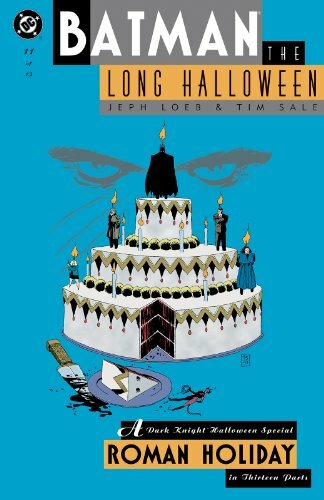 As the Dark Knight struggles to find an elusive, mysterious serial killer who strikes only on holidays, he discovers no shortage of suspects in a Gotham City beset by mobsters and freakish costumed criminals, any one of whom could be his prey.This volume includes a host of extras, including an interview with Loeb and Sale, a section on the LONG HALLOWEEN action figure line, and a look at the series proposal, plus sketches by Sale! Also, this edition will feature a 4-page sequence cut from the original miniseries and previously released only in script/breakdown format! In this penultimate issue, Harvey Dent has disappeared! As the manhunt for the missing D.A. begins, how do Solomon Grundy and the killer known as Holiday figure into the creation of one of Batman's deadliest and most tragic foes? 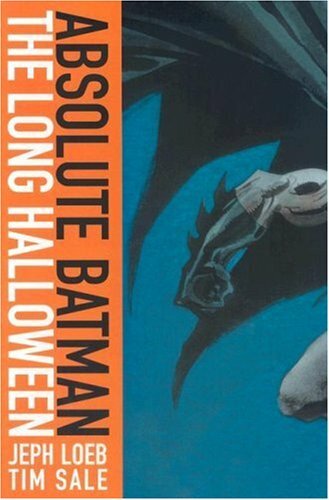 In this sequel to the legendary Batman: The Long Halloween, another mystery killer has sprouted in Gotham City, but it's not the town we all quite knew. Once a place controlled by organized crime, Gotham City suddenly finds itself being run by lawless freaks, such as Poison Ivy, Mr. Freeze, and the Joker. It is still early in Batman's crimefighting career, but the Dark Knight is on the verge of completing his transformation into the city's greatest defender. However, nothing he has experienced thus far—not even a new sidekick named Robin—will prepare him for the Hangman. 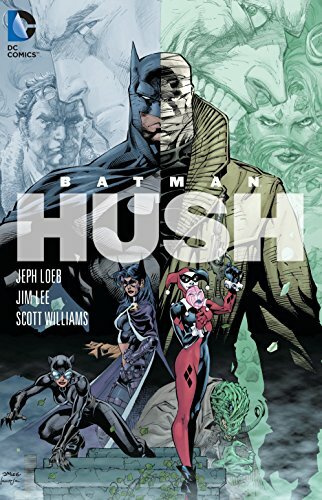 With the murders reminiscent of the Holiday killing spree just a year ago, Batman will have to call on every one of his detective's instincts to solve a mystery that goes even deeper—and more dangerous—than any he's faced before. 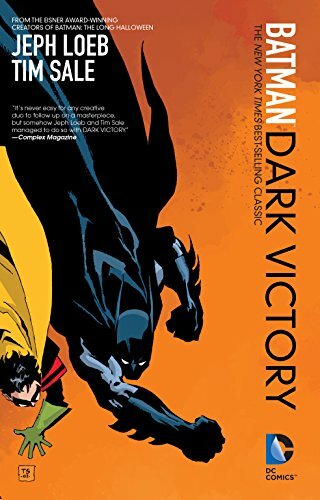 From the juggernaut creative team of Jeph Loeb and Tim Sales comes Batman: Dark Victory, one of the finest stories in the Dark Knight's fabled lore. Collects issues #0-13. Gotham City’s worst criminals—Joker, Riddler, Ra’s al Ghul, Clayface and others—have emerged to throw Batman’s life into utter chaos. However, these villains are part of a much more elaborate, sinister scheme to destroy the Dark Knight once and for all, one headed by a mastermind much closer to Bruce Wayne than any foe before...Pushed past his breaking point, Batman will need to use more than the world’s greatest detective skills to unravel the mystery behind this murderous plot before those closest to the Detective suffer the consequences. In this truly unforgettable story by two of comics’ top talents, writer Jeph Loeb and DC Publisher Jim Lee present the Caped Crusader’s most personal case yet in one of the greatest Batman stories ever told. This volume collects BATMAN #609-619 as well as the 6-page segment from Wizard #0 and a 2-page origin story that originally appeared at dccomics.com. The mob and a madman calling himself Calendar Man take center stage this issue as Christmas nears, meaning 'Holiday' will strike at any moment! But what part does The Joker play in the mayhem? Could he be more connected to Holiday than Batman originally believed? Writer/artist Frank Miller completely reinvents the legend of Batman in this saga of a near-future Gotham City gone to rot, 10 years after the Dark Knight’s retirement. Forced to take action, the Dark Knight returns in a blaze of fury, taking on a whole new generation of criminals and matching their level of violence. He is soon joined by a new Robin—a girl named Carrie Kelley, who proves to be just as invaluable as her predecessors. Can Batman and Robin deal with the threat posed by their deadliest enemies, after years of incarceration have turned them into perfect psychopaths? 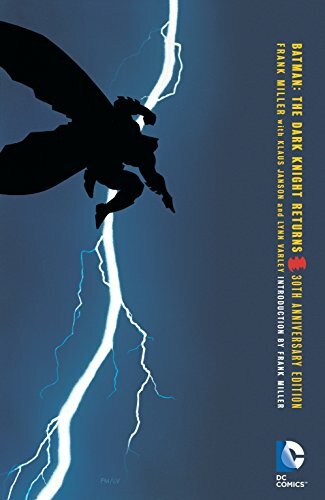 And more important, can anyone survive the coming fallout from an undeclared war between the superpowers—or the clash of what were once the world’s greatest heroes?Hailed as a comics masterpiece, THE DARK KNIGHT RETURNS is Frank Miller’s (300 and Sin City) reinvention of Gotham’s legendary protector. It remains one of the most influential stories ever told in comics, with its echoes felt in all media forms of DC’s storytelling. Collects issues #1-4. It's a Roman Holiday as crime boss Carmine Falcone celebrates his birthday. But once again, the mysterious Holiday strikes, leaving only questions and a trail of death. Also, Sal 'The Boss' Maroni takes the stand, beginning the evolution of one of the most destructive villains in Gotham City's history—Two-Face! 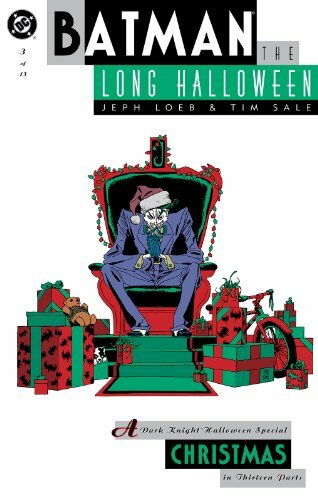 Catwoman, The Joker, Poison Ivy, and The Riddler--any one of these Batman rogues may prove to be the mysterious serial killer known as "Holiday," a murderer who kills according to the calendar. And now, a still-learning Batman must uncover the killer's identity before they kill again! Credit goes to https://www.youtube.com/user/scytherincproduction for other motion comics check out his youtube channel. 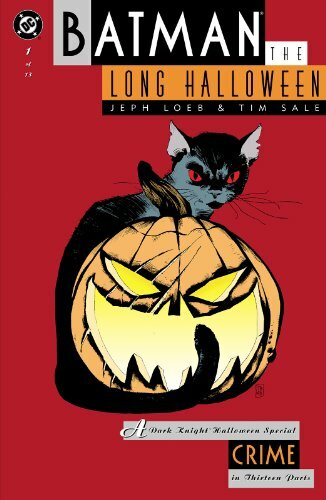 Batman The Long Halloween: Is It Any Good?